For readers who are unfamiliar with Dr. Jay Giedd’s work, he entered the Residency Program at the Menninger School of Psychiatry, transferred to the Barrow Neurological Institute and completed his residency in psychiatry in 1989. He was a postgraduate fellow in the Child and Adolescent Psychiatry Program at Duke University School of Medicine from 1989 to 1991, and then accepted a position as Clinical Staff Fellow at the Child Psychiatry Branch of the National Institute of Mental Health (NIMH). 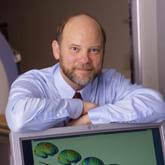 He was named the Chief of the Brain Imaging Section in 2001. 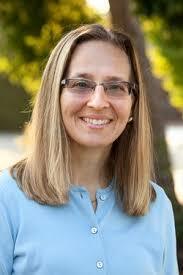 He is currently professor of psychiatry at the University of California, San Diego. Because of his breakthrough research with teenagers at NIMH, where he discovered that the brains of adolescents are still in development, he has become a media celebrity. Since then, over a dozen books about the “teen brain” have been published. ….The frontal lobe is often called the CEO, or the executive of the brain. It’s involved in things like planning and strategizing and organizing, initiating attention and stopping and starting and shifting attention. It’s a part of the brain that most separates man from beast, if you will. That is the part of the brain that has changed most in our human evolution, and a part of the brain that allows us to conduct philosophy and to think about thinking and to think about our place in the universe. ….How does the brain become the brain? It does so through two simple but powerful processes. The first is over-production. The brain produces way more cells and connections than can possibly survive….After this vast over-production, there is a fierce, competitive elimination, in which the brain cells and connections fight it out for survival. Only a small percentage of the cells and connections make it. ….In the frontal part of the brain, the part of the brain involved in judgment, organization, planning, strategizing – those very skills that teens get better and better at – this process of thickening of the gray matter peaks at about age 11 in girls and age 12 in boys, roughly about the same time as puberty. ….The pruning-down phase is perhaps more interesting because our leading hypothesis for that is the “use it or lose it” principle. Those cells and connections that are used will survive and flourish. Those cells and connections that are not used will wither and die. So if a teen is doing music or sports or academics, those are the cells and connections that will be hardwired. If they’re lying on the couch or playing video games or watching MTV, those are the cells and connections that are going to survive. ….It’s a time of enormous opportunity and of enormous risk. And how teens spend their time seems to be particularly crucial. ….Right at this time when the brain is most vulnerable is also the time when teens are most likely to experiment with drugs or alcohol. If they’re doing drugs or alcohol that evening, it may not just be affecting their brains for that night or even for that weekend, but for the next 80 years of their life. Some teens use their prefrontal cortex (PFC) more, so during adolescent pruning, they lose less of it. Other teens use their frontal lobes less often, so they lose more of it. The loss of brain cells and connections in the PFC is permanent. The adult can never get it back. The huge long-term consequences: Adults who exercised critical thinking a lot will end up with massively wired PFCs – brilliant minds capable of highly complex and challenging work. Adults who neglected critical thinking during youth will have minimally wired PFCs and will probably never be capable of this kind of work. Everything depends on how often the child uses his or her PFC during adolescence – a decades-long brain wiring and skill building process that is invisible, silent and poorly understood by parents. While only the child can do the work, there’s much parents can do to help maximize this finite period of development. This is the theme of my new book: How Your Teen Can Grow a Smarter Brain.